Service Parts Logistics (SPL), Africa’s largest parts management and supply firm, has been appointed by Lenovo as their sole authorized distributor for Out-of-Warranty (Trade) spare parts in 38 countries in the Middle East and Africa region, including South Africa, Egypt, UAE, Morocco and Saudi Arabia. Lenovo is the world’s second-largest PC maker, the fastest-growing major PC company, and number 1 in global commercial sales, global emerging markets and worldwide desktop PC sales. By authorizing SPL as its Authorized (Trade) Parts Distributor for the region, Lenovo looks forward to continuing and improving its high standards for customer service. SPL has a record in the industry of improving service levels and drastically lowering costs for major PC brands. 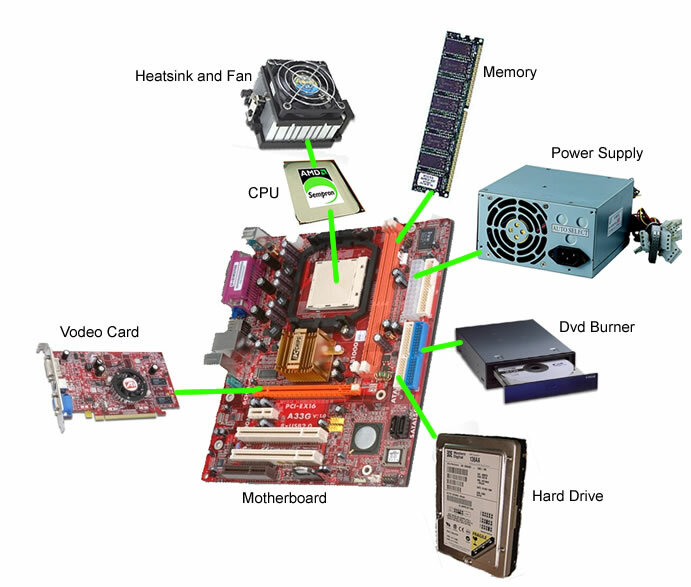 By outsourcing these specialized business processes, Lenovo is able to plug directly into a world-class trade parts distribution structure, utilizing the specialized skills and tools which SPL has developed over its 23 years of operations in the complex area of ICT service parts. As a $30B company (ZAR 252Bn; number 450 on the 2011 Fortune Global 500), Lenovo is a next-generation global technology company. In addition to maintaining its long-held commitment to delivering innovative, high quality PCs, Lenovo is expanding its product portfolio to include tablets, smart phones and smart TVs. 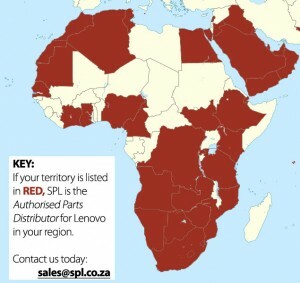 SPL will complete the rollout of Lenovo spare parts across all 38 countries by June 2012. Acer today announced a much anticipated agreement with Service Parts Logistics (SPL), making the group Acer’s official out of warranty parts supplier for southern Africa. SPL is a specialist service parts management and distribution company in the EMEA space. SPL positions itself as a pioneer in the service parts arena – and its innovations have been adopted by other high-profile electronics brands. It is expected that this latest SPL deal would significantly raise Acer’s first pass parts availability, which is already very high compared to the industry standard, the all-important metric that most directly impacts dealer’s own performance. 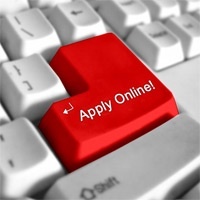 SPL’s specialist skills ensure there is always very high first pass parts availability, state-of-the-art online ordering and its lauded iSupply automated online reverse logistics offers full visibility of the supply chain, while a dedicated part sales team is always available by phone, e-mail or online. For this reason, SPL expects dealers to welcome the move. Since its founding in 1976, Acer has constantly pursued the goal of breaking the barriers between people and technology. Focused on marketing its brand-name IT products around the globe, Acer ranks as the world’s number three vendor for total PCs, and number two for notebooks, with the fastest growth among the top-five players. A profitable and sustainable channel business model is instrumental to Acer’s continued growth, while the successful mergers of Gateway and Packard Bell complete the company’s global footprint by strengthening its presence in the US, and enhancing its strong position in Europe. Acer employs 5 000 people worldwide. 2007 revenue reached US$14.07 billion. See www.acer.com for more information. [Johannesburg, 18 April 2008] – Service Parts Logistics, Africa’s largest service parts reseller, recently concluded a deal with Toshiba Corporation whereby the company would become Toshiba’s sole African service parts solutions provider. Toshiba has entered into a sole agreement with SPL – this has enabled Toshiba to outsource its regional parts management, enabling service levels well-above industry norm owing to SPL’s specialised knowledge of the industry and its strong and established business model and systems. Simultaneously, Toshiba has alleviated the staff and expense burden associated with the complex micro-management environment of service-parts planning, distribution warranty management and reverse logistics. Toshiba joins a growing list of leading international original equipment manufacturers (OEMs) to have signed Service Parts Logistics agreements with SPL, including among others, Apple Computer – with whom SPL pioneered the model. “We’ve been the first player in the region, the pioneers in Africa if you will, and we’ve refined a model which works in the unique African and Southern African environment,” said Des Stroud, SPL’s Managing Director. A case study of SPL’s implementation of SAP will be made available in coming weeks by Ogilvy Public Relations Worldwide. Whenever we have special pricing on certain lines, we’ll let you know. 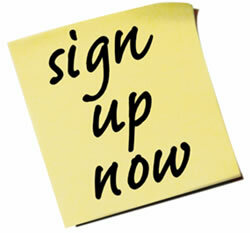 Sign up in the box to the right! We try to keep administration to a minimum, so please download the application and then let’s get on with the business of keeping your customer happy, and adding profits to your bottom line. SPL (Service Parts Logistics) is proud to announce they have joined forces with Katun Corporation, the world’s leading alternative supplier to the office equipment industry. SPL now offers a wide range of high-quality Katun toners and spare parts for laser printers and MFPs, as well as Katun accessories, including tool kits, specialised lubricants, vacuum cleaners, and other items that technicians need to provide outstanding service. Who is Katun Corporation? Katun was founded more than 30 years ago in Minneapolis, Minnesota, USA, and over the past three decades has focused on supplying distributors and dealers worldwide with extremely high-quality copier, printer, MFP and duplicator toners, inks, spare parts and accessories. They now service 18 000 dealers and distributors in more than 150 countries. One of Katun’s strengths is quality. Katun Performance printer products are developed and extensively tested to ensure print quality comparable to that of OEM products in the areas of image density, yields, background levels, fusing performance, and colour reproduction (when applicable). 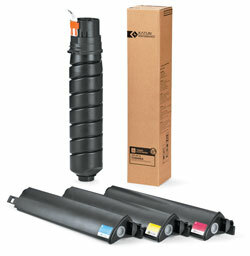 Katun is a well-known name in the copier industry, but only recently entered into the printer market, where they are quickly making a name for themselves by producing a wide range of quality new-build toner cartridges and high-quality printer components for use in remanufacturing of printer cartridges for many of the more popular OEM laser printer models. Another first for the South Africa market is that top-of-the-range Katun Performance brand printer cartridges have a two year warranty, offering a swap out on defective cartridges. In summary, 2010 looks like it will be providing many exciting opportunities for SPL and Katun, while providing their mutual customers high quality, competitive costs and outstanding value. Johannesburg, 24 October 2006] – Service Parts Logistics (SPL), the largest parts solutions provider in Africa, has extended the company’s product scope with its appointment as alternate authorised Brother parts distributor for the complete range of Brother fax machines, multifunctional devices and printers, effective from 1 September 2006. “It was imperative for us to appoint alternate part distributors in the channel who have the required coverage, expertise and customer relationships that we need in this country, following our entry in to the retail arena and the subsequent growth of our distribution model,” commented Daan Coetzee, General Manager of Brotek (Pty) Ltd – distributor of Brother products for southern Africa.